Bank Cycles will always handle your information in a responsible way according to and in line with the GDPR. GDPR stands for General Data Protection Regulation, replacing the Data Protection Act 1998 and will come into effect on 25th May 2018. If at any time you wish us to cease processing your personal data or contacting you for marketing purposes, please contact Bank Cycles on 01748 836 143 or in writing to Bank Cycles, 34 Richmond Road, Catterick Garrison North Yorkshire, England, DL9 3JD . Bank Cycles will be closed From February 1st 2019 until February 11th 2019, when we will return to normal opening times. 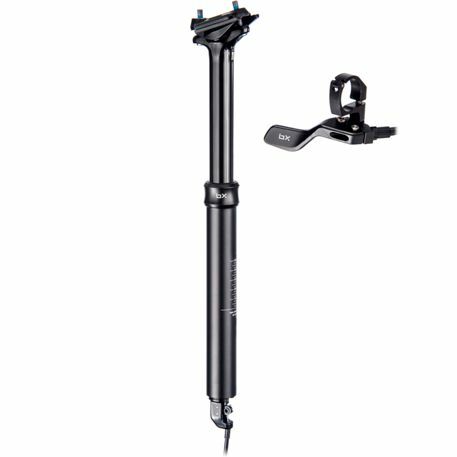 The Ascend Seatpost is only compatible with bikes that can use an internally routed dropper. (Please note that it cannot be converted to external cable actuated. )The seatpost is cable actuated at the bottom of the post via a linkage mechanism which eliminates cable pull/movement, to ensure consistent performance time and time again. The ergonomic shifter style remote lever is designed to be run where your front shifter would normally sit. This means that the Ascend Dropper is ideally suited for those using a 1x chain ring set up; without a front derailleur. However, a paddle style shifter is available aftermarket for those who want to use the Ascend dropper post with a front derailleur and shifter. The Ascend Dropper seatpost sets new standards for reliability and performance at a fantastic price point. Please e-mail me using the form below. I will contact you as soon as possible, thanks Ian. I work at Bank Cycles, I’m happy to recommend my favorite exercise routes.